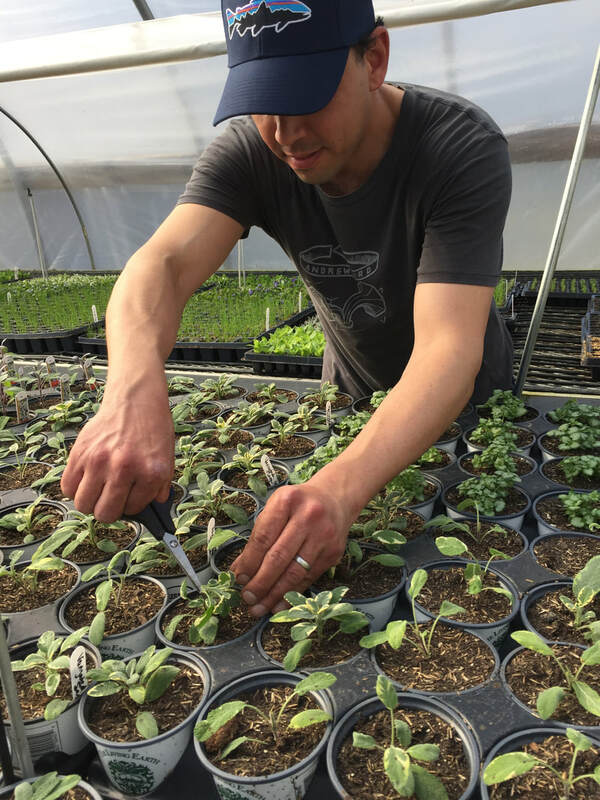 Established in 2006, Lighthouse Gardens is a small, family owned, certified organic greenhouse and farm business that started in Honeoye Falls and has expanded with our new production and retail location in Lima, NY. Our focus is to grow the most beautiful, adaptive, resilient and healthy transplants for our customers so that they can have the most successful gardening experience possible. We grow over 500 varieties of herb, vegetable, annual, perennial, berry and succulent plants using organic growing practices between our two locations consisting of over 12,000 square feet of greenhouse space and a 1+ acre market garden. Todd Lighthouse has over 20 years of experience in the green industry working in wholesale, retail, service and research. This wide ranging experience informs our growing practices, customer relations and ability to identify and respond to upcoming trends in the greenhouse and garden center industries. I started Lighthouse Gardens after I came to understand that the separateness that we feel between us and the environment is an illusion and I wanted my life's work to be purposeful and fulfilling while leaving as little of a footprint on the environment as possible. I want every method that we incorporate into our farm to be safe for my family, my employees, my customers and our environment. Rather than framing our growing practices in terms of what conventional practices we exclude like the use of synthetic chemicals, I prefer to think of it in terms of the practices that we do include. In our greenhouses, we start from the soil up. We blend our own organic, compost-based potting soil that is teaming with life and fertility, essentially creating habitat for all of the microorganisms that our plants need to be their best. When you plant one of our transplants into your garden, you are planting a miniature ecosystem that provides your plant with all of the support that it needs to establish itself and get a great start. Our potting soil has enough fertility in it to provide for all of the plants needs until it is transplanted into your garden. 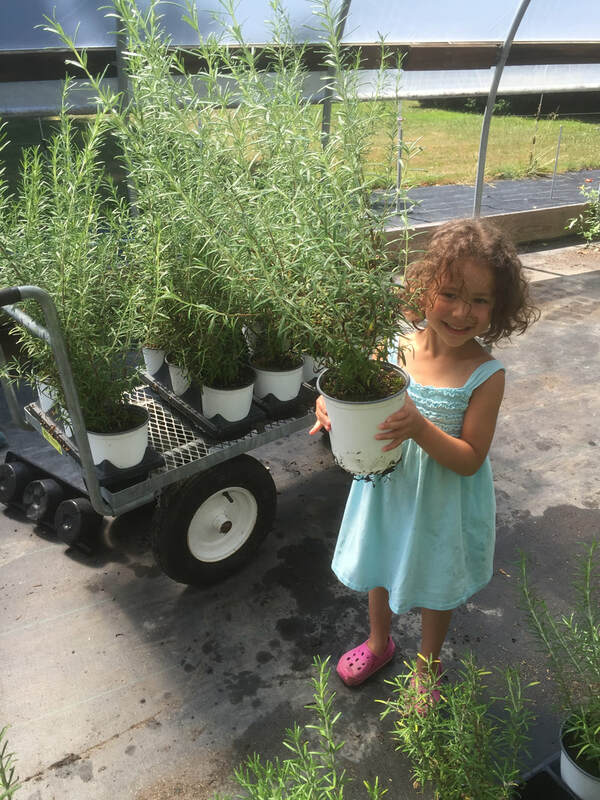 Occasionally we fertilize our long term crops that we keep stock plants for, like many of our herbs. When we do, we use an organic, liquid fertilizer derived from plants. Like our fertilizer, every off farm input we utilize is approved for use on organic farms by the Organic Materials Review Institute(OMRI) or by the USDA's National Organic Program. 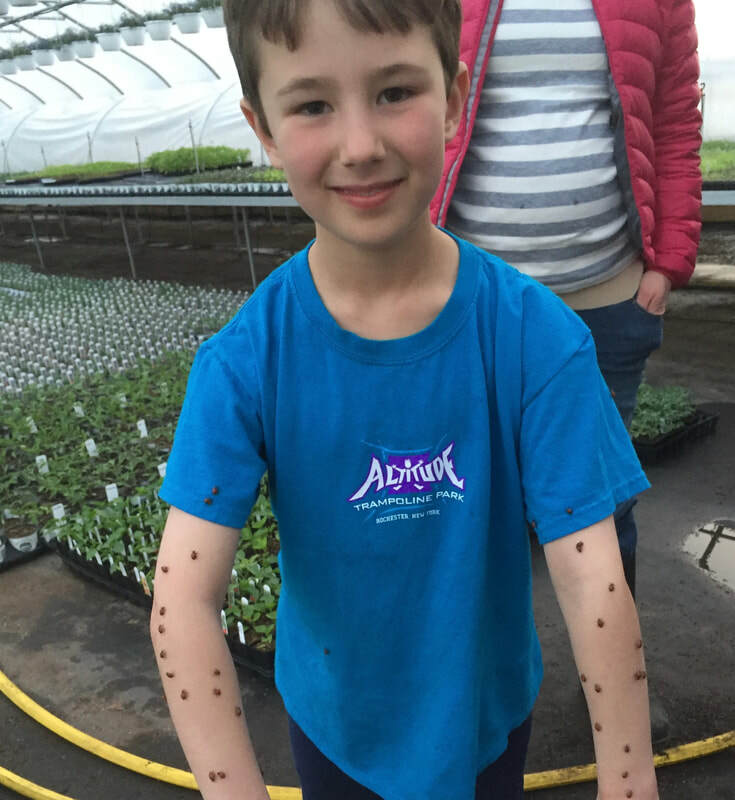 Every greenhouse grower has pests and diseases to deal with, especially if they grow year round like we do. We use many species of biological organisms in our greenhouses to maintain a balance between pests and beneficials with controlled releases throughout the growing season. As in our greenhouses, we start from the soil up in our market garden. We manage our market garden using a permanent bed, no till approach. This system keeps our soil covered as often as possible and disturbs it as little as possible to reduce erosion and to build and enhance the habitat for the microorganisms in our soil. The more biologically active the soil is, the greater the harvest, flavor, and nutrient density of our vegetables. 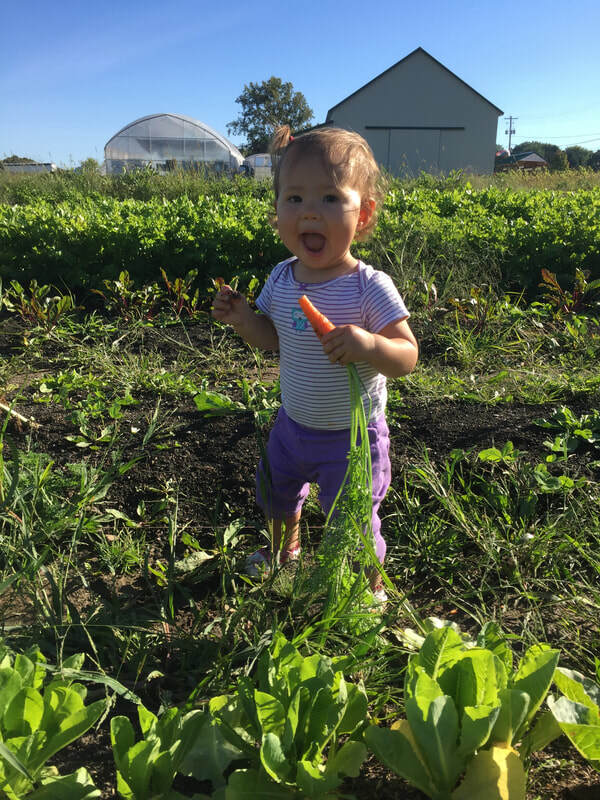 ​We have been USDA certified organic by NOFA-NY Certified Organic, LLC since 2011 and our certificate can be found here. Researching and buying sustainably grown, local food and plants with confidence can sometimes be overwhelming. Please don't let the USDA Certified Organic label prevent you from wanting to know more. We encourage our customers to inform themselves, to ask thoughtful, pointed questions and develop a relationship with their farmers. We love talking about and sharing what we do with our customers because we love what we do! If you ever have any questions or are just curious about our growing practices and farming philosophy, please don't hesitate to contact us here.